Sunset Park is a diverse, densely populated, low-income neighborhood in south Brooklyn. For decades, this community has been a first destination for waves of new immigrants from around the world. Almost half - 45% - of community residents were born outside the United States, coming to New York from Puerto Rico and the Dominican Republic, Central and South America, China, the Middle East and Europe. Seventy two percent of them speak a language at home other than English. For many Sunset Park immigrants overcoming a triangle of limitations - limited literacy in English, limited education and limited work history outside of agriculture or trade - makes it very challenging to get jobs that pay a decent wage. The Center for Family Life is a neighborhood-based social service organization in Sunset Park, first established in 1978. Today, our comprehensive programs in counseling, employment, education, the arts and recreation engage more than 13,000 children and adults each year at seven community locations in Sunset Park. Twenty three percent of Sunset Park residents and a third of neighborhood children live in poverty. For over 20 years, the CFL's Adult Employment Program has been providing community residents with job readiness by helping them update their resumes, teaching job search techniques, preparing clients for interviews, enhancing computer skills, providing English as a Second Language classes, and securing interviews with potential employers. Over the last five to seven years the CFL staff began to confront the hard fact that there were many people seeking employment assistance that we were unable to enroll in our program because they didn't meet program requirements. Many of these residents had limited English language skills; most were low-skilled workers; few had computer skills; and many were working through their immigration situation. A large amount of these low-skilled workers were employed in textile factories, provide domestic services, or worked in restaurants. Some of the Si Se Puede! women's cleaning cooperative members pose to take a picture after their general meeting on a Tuesday night. Confronted with all of these issues, the CFL staff began to research alternatives to the traditional job readiness model that CFL had been utilizing for over 20 years. While researching, one of the social workers came across examples of immigrant-run, worker-owned cooperatives - in California through Women's Action to Gain Economic Security (WAGES), through UNITY Housecleaners Cooperative in Long Island, and Las Senoras of St. Mary in Staten Island. These businesses were an enormous inspiration and motivation for us. We then approached the unemployed and underemployed women who had been participating in ESOL classes and receiving family counseling at CFL and proposed the cooperative model as a means to creating meaningful and living wage jobs. Most of the women excitedly agreed. CFL staffers launched a 12-week training for them, creating a curriculum based on previous observations, research, and CFL's previous organizing experience to take the women from being workers in a business to being owners of a business. The commitment, drive and enthusiasm that the women expressed as we began to discuss the prospects of creating a cleaning cooperative sparked a long-term commitment for CFL to invest in a cooperative development program. Staff members from various CFL programs were assigned to co-op work since at that time there wasn't a particular person dedicated solely to the co-op program. One of the challenges that CFL's new co-op program staff faced was getting the Adult Education Program staff on board with supporting the cooperative by answering client calls and managing their coop work schedules. Some of the adult education staff had never heard of a cooperative and expressed doubt about its potential successes and usefulness for generating income. However, for the immigrant women developing the cooperative business, cooperatives were not a new concept. In their countries of origin, the women had either participated in one or at least had heard of credit unions, manufacturing co-ops, or some cooperative enterprise. During the 12-week training some women left the cooperative because they realized being a business owner was not for them, or because they felt that the process of creating the cooperative was taking too long, and they need to generate income more rapidly. In the first year of the co-ops operation, one of the main challenges for the women had to do with dedicating many hours without pay ("sweat equity") to develop the core of the business through planning meetings and marketing. Another great challenge was learning to work together to making decisions while maintaining professionalism. This continues to be a learning piece for many members, although co-op cohesion has improved tremendously in the last five years. These challenges were overcome with an increase in clients after the first year and multiple trainings on developing effective communication. The struggles were well worth it for women like Cristina from Mexico who had been unable to find a decent paying house-cleaning job since she arrived to the United States four years ago. She was a single mother with a 2-year-old daughter and her bills were stacking up. Once she started to work with Si Se Puede! she began to earn $20/hour and could rely on steady work on a weekly basis. In June 2011, the Si Se Puede! Women's Cleaning Cooperative will have been in operation for five years. Since June 2006, Si Se Puede! has grown from 15 to 27 members. In June 2011 the co-op expects to train 15 additional people for membership. Some of Si Se Puede! 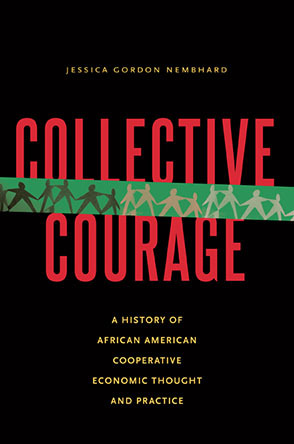 's successes have included developing their own bylaws with the assistance of the Urban Justice Center, incorporating through New York State, building their client base to over 1,000 households and offices, increasing their hourly rate from an average of $7-$8/hour at their previous jobs, to making an average of $20/hour at the co-op, receiving media attention, and establishing a cohesive and growing member base with little turnover. Marisol and Alma are members of the Color Me! Cooperative, a women's interior painting business. Two years after Si Se Puede! was formed, We Can Fix it! Cooperative was initiated with about 10 day laborer men from Sunset Park. Many of the tactics we used with Si Se Puede! could not be applied to this emerging co-op. This co-op would focus on handiwork - repairs, carpentry, painting, etc. - and they expressed less interest than the Si Se Puede! members in spending time on business development training. The Center went on to help form and incubate two other cooperatives: Beyond Care Childcare Co-op in June 2008, and Color Me!, a worker-owned interior painting business, in May 2010, These cooperatives are all anchored in Sunset Park. Based on our experience consulting for the three Sunset Park cooperatives, CFL has developed a co-op development model that addresses particular needs and characteristics of the immigrant community that we work with. Some of these aspects of our model have included recognizing and maximizing the members' strengths and abilities by developing types of businesses that members already have experience with such as cleaning and childcare, considering their difficult economic situations by, for example, providing childcare in the meetings, and promoting group work which requires group-led decision-making and problem-solving. As a co-op incubator, the Center's Co-op Program staff work closely with each co-op for up to three years attending meetings, assisting with office management, providing trainings, and general consultation as issues arise. The main business expenses that the co-op may have, such as office space, office manager salary, and printing are covered through the Center until the co-op has become financially self-sufficient. One of the most important aspects of the Center's consultation is teaching how to conduct meetings, communicate effectively, and build a professional business environment that constantly considers client satisfaction and quality service. The culture and structure of each co-op are developed to take into account the needs of the members. For example, the jobs are assigned to members who are available and interested in the particular work. This has allowed members to have more time for their children and families by freeing them from a fixed 9 am to 5 pm schedule to a more flexible one. This method of job assignment was decided upon by the members from the onset. Once Si Se Puede women were ready to incorporate their business, the attorneys were able to present to them a legal structure that accommodated their approach and needs. The Si Se Puede! Co-op is incorporated as a Not-for-Profit Cooperative Corporation which allows job referrals to come from the CFL office while all of the decisions, small to big, are made by the entire membership using both consensus and majority vote, depending on the time available and size/impact of the decision. This model allows for there to be flexibility for each member in the quantity of work they assume while still maintaining complete control over the operations and decisions of the business. Furthermore, all the cooperatives provide childcare during their meetings to facilitate the participation of members who have young children. Some of the biggest challenges for the members previous to joining the co-op were their isolation, exploitative workplaces, and lack of contracts. Our model focuses deeply on these issues and makes them a priority when developing the mission statements and goals with each co-op business. For example, the Beyond Care Childcare Cooperative declares that they are "founded on the basis of democracy, equality and justice, Beyond Care promotes living wage jobs in a safe and healthy working environment." This co-op has developed a thorough contract which was adapted from the contracts that Domestic Workers United developed. DWU is "an organization of Caribbean, Latina and African nannies, housekeepers, and elderly caregivers in New York, organizing for power, respect, fair labor standards and to help build a movement to end exploitation and oppression for all." The document includes elements such as which duties the members are responsible for, vacation days, sick days, overtime, cancellation fees, and so forth. The contract, along with building a respectful and trusting relationship between the member and the client, is what has led to Beyond Care to meet their mission statement of creating "safe and healthy working environments." For example, there is a component of the contract that states, "Client understands that labor laws, regardless of race, gender, immigration status, age, sexual orientation or religion, protect members." A unique aspect of our co-op development model is the significant emphasis we place on group work. As a social worker who specializes in social group work, community organizing, and leadership development, I have worked with my team on developing a model that places value and prioritizes the coaching of effective communication, compassion, active listening, consensus decision-making, and skillful facilitation. We believe that these skills are fundamental for the sustainability of relationships and trust within a cooperative business. During the initial 12-week training with each cooperative the sessions include the topics mentioned previously while co-facilitation at meetings is modeled by the CFL staff. Modeling is a characteristic of social group work that we utilize with each cooperative. We have observed that for the immigrant women in the cooperatives, modeling how to work in a professional manner within a group setting while using the skills that are taught in the initial training is a practical and effective way of using ourselves as their consultants. Another aspect of the social group work method is the utilization of the group members to resolve conflicts that arise. For instance, in one co-op meeting the members addressed a person's constant tardiness to the general meeting. The member had the opportunity to explain her reasons for being late. The members responded by brainstorming ideas on how their fellow member could adjust her schedule to be able to arrive to meetings on time. There is an emphasis on holding one another accountable and talking through issues to reach a resolution within the group and with the leadership committee. Valuing open discussion promotes transparency and reliance on the group process. Throughout the last five years of our co-op development work, we have observed a great deal of enthusiasm for the cooperative models from organizations and groups working with immigrant populations in economically-deprived neighborhoods. Many of these groups are looking for ways to work with immigrant communities to generate good, stable jobs through entrepreneurship. This enthusiastic response is due primarily to the significant impact that this model can have on the economic development of communities that are often lacking high-quality employment opportunities. The NYC Network of Worker Cooperatives or "Nick Nock" was organized in December 2009 when co-op developers, worker-owners, academics, attorneys and other co-op advocates met to attend CFL's Annual Fair Work Symposium. Since its inception, the Network has met in-person monthly to develop their mission statement, provide resources to one another, create a supportive space for people interested in learning about cooperatives, as well as to those already immersed in it by offering its "Co-op Chat." We are a proud member of the Network and continue to encourage thoughtful discussion on the remarkable impact that developing cooperatives in immigrant neighborhoods can have on individuals, families and whole communities. Based on our experiences, CFL believes that any model for creating co-ops for immigrants should have the following characteristics: social group work, emphasis on effective communication styles and techniques, flexibility with scheduling, childcare and translation, modeling, and possibly incubation assistance for hands-on co-op development assistance. The model's success can be exemplied by the difference Si Se Puede! made for Cristina. Before joining the co-op Cristina "was making around $400 a week for 60 hours of work and was paying $120 a week for babysitting," as she was quoted saying in The Brooklyn Rail. This left her $280. "Now, thanks to the co-op, I have jobs that take me three to five hours to complete," Cristina says, "and I make the same amount I used to make for 12 hours of work. I can also control my hours, which has been the biggest benefit, especially now that I have two children. Plus, I've gotten so much help from other co-op members. I don't have any family in the United States, so the other co-op members have become my family." The permanent link to this issue is http://geo.coop/node/636. Vanessa Bransburg, LMSW, has been the Cooperative Coordinator at the Center for Family Life in Brooklyn, NY for the past three years. She provides incubation support and consultation to three Sunset Park Worker-Owner Cooperatives and one Collective as well as other evolving cooperatives around NYC. Vanessa has also been a leader in the development of the NYC Network of Worker Cooperatives ("Nick Nock") since its inception in December 2009.